Although Google posted the Android 6.0 Marshmallow update since back in October, multiple 2015 flagship smartphones have yet to be updated to the latest version of Android as February is heading to a close. 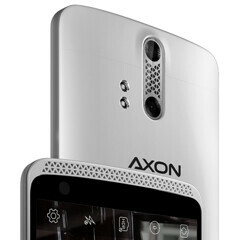 Thankfully, though, we can now scratch the ZTE Axon Pro from our "Lollipop flagships" list as the manufacturer is now updating its most powerful smartphone in the US to Android Marshmallow. From the looks of it, the update will include all of the Android 6.0 Marshmallow features that early Nexus 5X and Nexus 6P customers have been enjoying for about five months now. Among them, ZTE highlights the battery saving Doze mode, Google Now on Tap, and the revamped App Drawer. If you're looking for a much closer look at what the new software update is expected to bring to the table, head on over to our full Android 6.0 Marshmallow review. The update measures approximately 835MB in size, and given the large volume, users will need to keep close to a Wi-Fi network to download it. Once you're ready to download the Android 6.0 Marshmallow update for the ZTE Axon Pro, head on over to Settings -> About phone -> System updates -> System updates -> Update Now. ZTE mentions that the Marshmallow update is only available for the 'Pro' version of the ZTE Axon. Those rocking the standard version have some more waiting to do before getting their hands on the new OS, but the company promised to soon deliver more info on that update as well. This is my phone. The Dolby system on earbuds and earphones just beats everybody. But I can't wait to hear the new LG audio this year, also exciting. I like the front of this thing. Wish more companies would follow suit. Just got one from Amazon warehouse deals thanks to the update news. Hope it turns out well! Get it Thursday.